The Spring Migration has not yet properly begun, the Stonechat are still always outnumbered, golden plover in Mandria in larger groups are also seen. Looking after rising through migratory birds I went before a few days along the river of Ezousa. After the rains in January only small trickle remains by the River which is fed by a Dam from the mountains. Way there is actually no, only lanes of farmers and hunters, which you can follow. Slow driving, you have the bushes, trees and keep the grounds in the eye and unusual look. So I noticed in passing, which depends on an unusual structure in a Bush in the Bush about 10 m away..
After 300m, there were no more progress and I had to turn around, then I remembered the Bush and wanted to take a closer look. I was approaching at a distance of 8 m on the Busch. The go near to the Busch was not possible through the thorns on a sharply sloping embankment to the river. With my binoculars, I search on the structure and was once again surprised at the almost perfect camouflage of the small Scops owl, which had their place in this Bush. Scops are active only at night and spend the day sleeping in a turned attitude here as in bushes or trees. 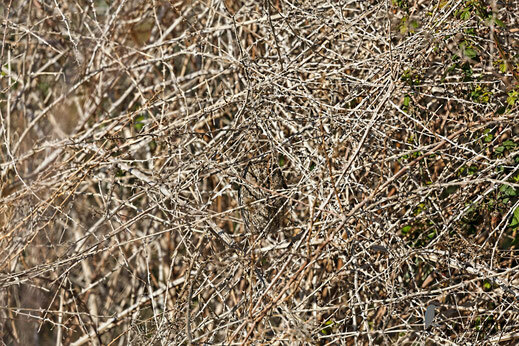 The branches of the Bush enormously enhance the camouflage effect by light and shadow. 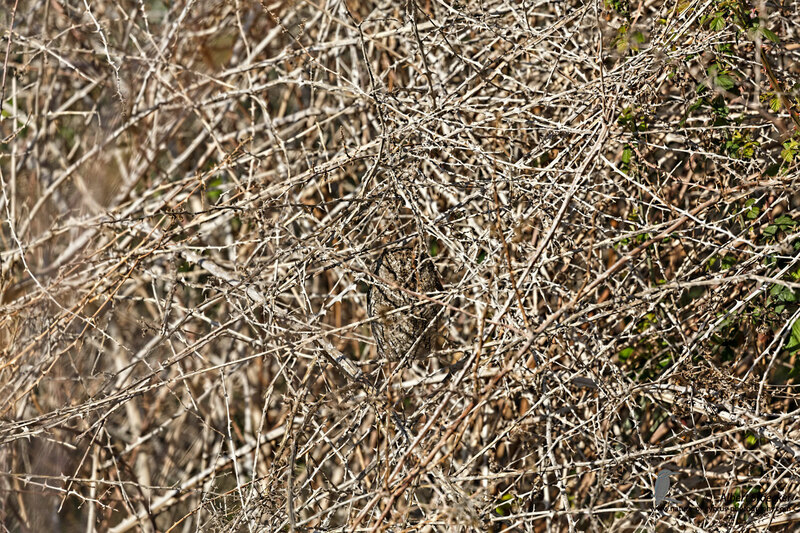 A special incentive for nature photographers to discover these camouflage artists. In my short video you can even start your search, anyone noticed that unusual. Please use 1080p on YouTube settings.